Hair loss is related to a premature ageing of hair roots. 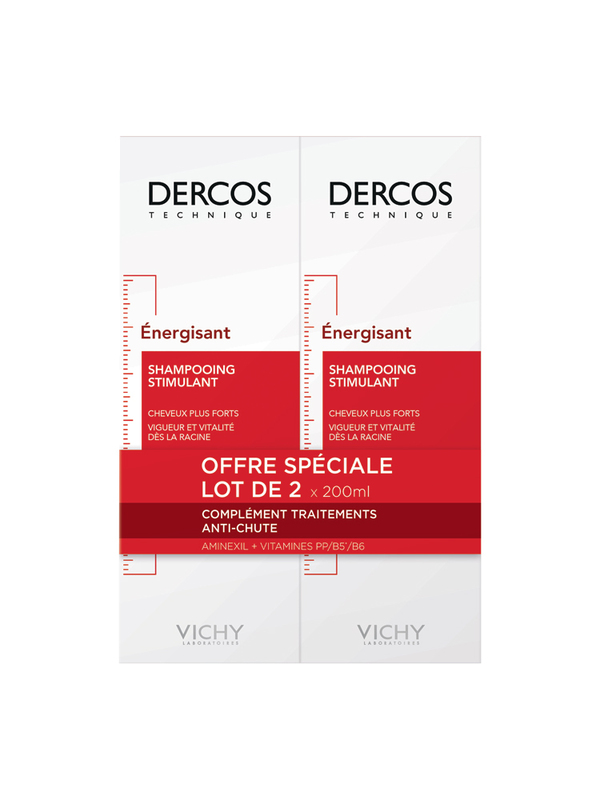 Vichy Dercos Energising Shampoo is specially formulated to help brake the hairloss problems thanks to its anti-hair loss complex, Aminexil + Vitamins PP, B5, B6. This complex also prevents hair-roots from a premature ageing. This shampoo makes hair stronger, it is vitalized from the roots to the ends. 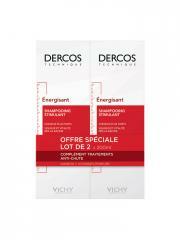 Ideal complement of the Dercos with Aminexil anti-hairloss treatments. Frequent use. Indication: Hair loss/hair thinning problems. Aqua, Sodium Laureth Sulfate, Citric Acid, Disodium Cocoamphodiacetate, Sodium Chloride, Glycol Distearate, Ammonium Hydroxide, Hexylene Glycol, Carbomer, Diaminopyrimidine Oxide, Disodium Ricinoleamido Mea-Sulfosuccinate, DMDM Hydantoin, Methylparaben, Niacinamide, Panthenol, Polyquaternium-10, Pyridoxine HCl, Sodium Methylparaben, Parfum (Fragrance). Active Ingredients: Aminexil, Vitamines PP/B5/B6. Caution: The sale of Vichy Laboratory products is limited to the European Economic Area and to 6 units per day and by customer. Use these products regularly with good results.